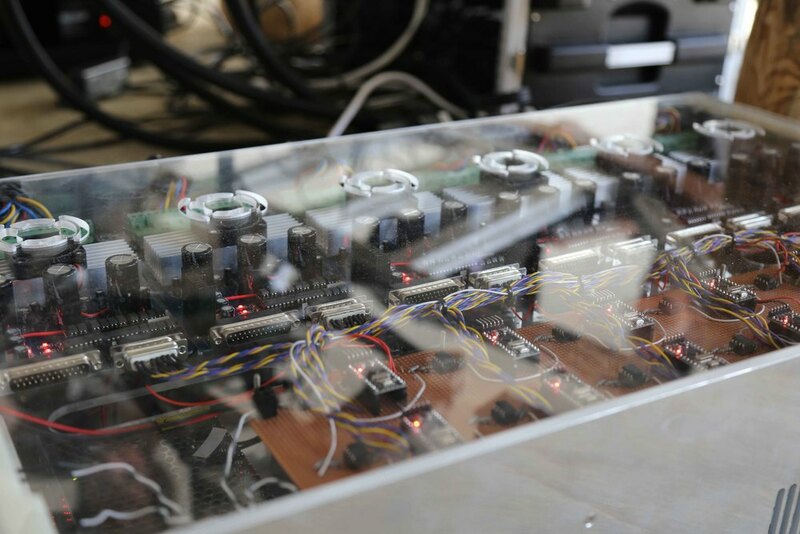 The “Meteorphonium” is a mechanical musical instrument, designed by Nick Ryan for the famous Tasmanian beer maker, James Boag, that performs an evolving piece of music controlled, in real time, by the local weather. The various components of the instrument (8 brass singing bowls, central 'tongue drum', analog synthesiser and natural field recordings taken from the local area) are mechanically controlled to act as an ensemble, for which a ‘rule based’ score has been composed. The score is continuously governed or 'conducted' by changing levels of light, wind speed, wind direction, humidity and atmospheric pressure. The instrument is connected to a small weather station, 50m away, which supplies a live stream of these data. Eight smaller related instruments called “Meteorphones” are hung from trees nearby. These sense changes in light levels (as the sun goes behind a cloud for example) and react with mechanical movements to produce tinkling and clicking sounds. 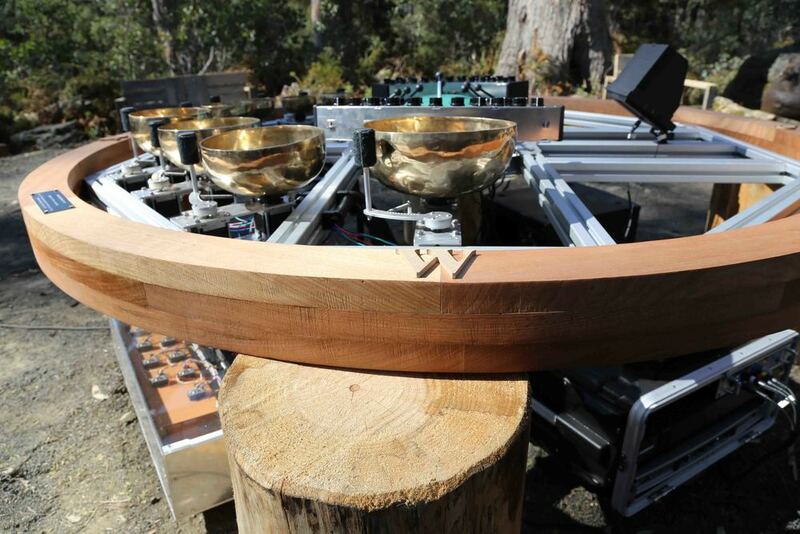 The Meteorphonium was and given its premiere performance on Ben Lomand Mountain in Tasmania in October 2015. It then appeared at the Birdcage marquee at the Melbourne Cup in Melbourne a few weeks later. 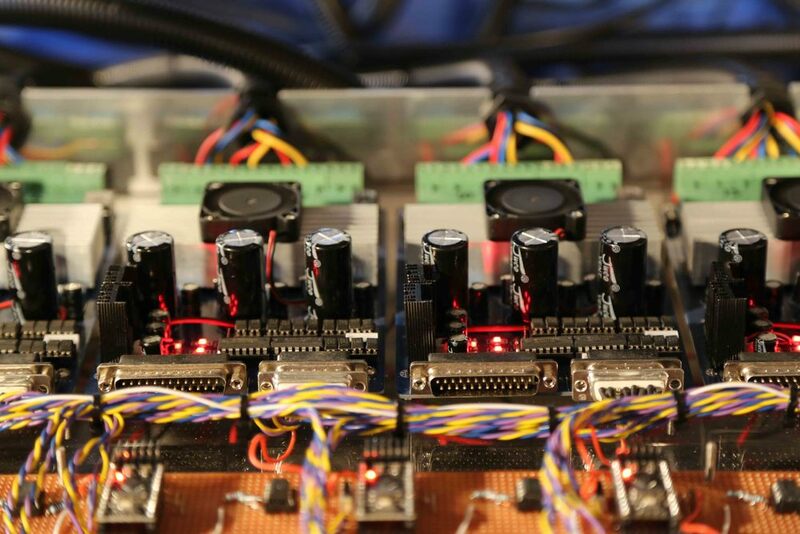 The instruments were engineered by a specialist team in the UK, Sydney and Tasmania: Daniel Jones (software engineering), David Cranmer (instrument engineering, Meteorphonium), Jakub Pollág (instrument engineering, Meteorphones).